Cheapest way to do business in Bulgaria is to have your own Online Shop. To start a successful online business in Bulgaria you may need: 1. PC or tablet with internet access. 2. Website - online shop where you will posting the products or site to present your services. 3. Some amount of SEO optimization for your site - you may need links from quality Bulgarian wensites pointing to your site (link building service). 4. According to the Bulgarian e-commerce law you will need registered company - no matter what type. Guess what? 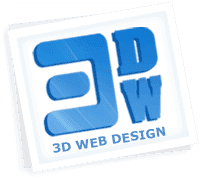 3D Web Design have developed over 1200 web sites and is one of three Bulgarian webdesign companies with the most developed sites. Over 500 of all these sites are online shops. What more? We are the company that have ranked the most customer sites in google.bg. Order your online store from 3D Web Design now! Tuesday, 23 April 2019. Copyright © 2007-2019-2020, 3D Web Design: Bulgaria, Sofia, Panayot Volov Street 25, Phone: +359898615736.